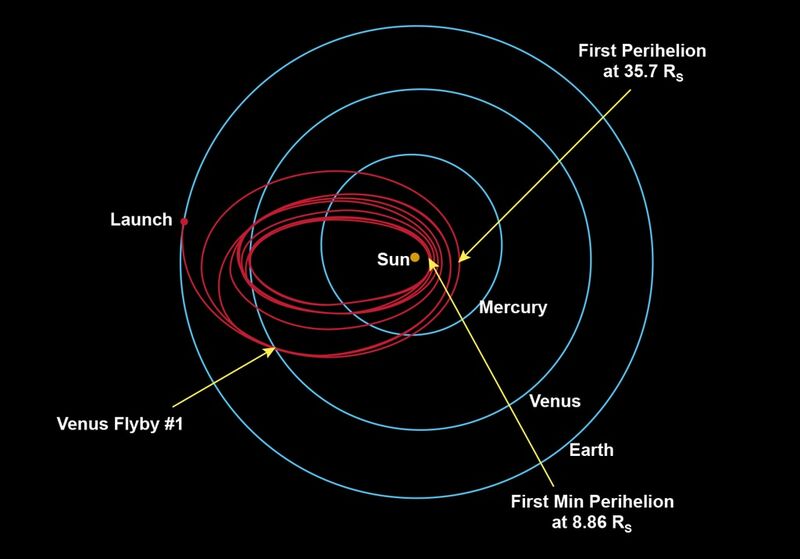 The Parker probe needs to lose a great deal of orbital energy and angular momentum in order to approach the Sun so closely. It will be aided in doing that by multiple flybys of Venus. Are these purely "gravitational slingshot" maneuvers, or will they actually graze the upper atmosphere of Venus and lose energy that way? If not, why not? The idea seems intuitively appealing. @Machavity's answer is correct. This is just some addition, interesting data. I had downloaded the data for Parker Solar Probe from Horizons before the launch. They had state vectors for a complete (planned) mission there (Revised: Aug 24, 2018) from launch until 2025-Aug-31 09:19:00. Currently Horizons is showing a much shorter span because it is now based on the real trajectory, but this data is likely to still be available online somewhere. 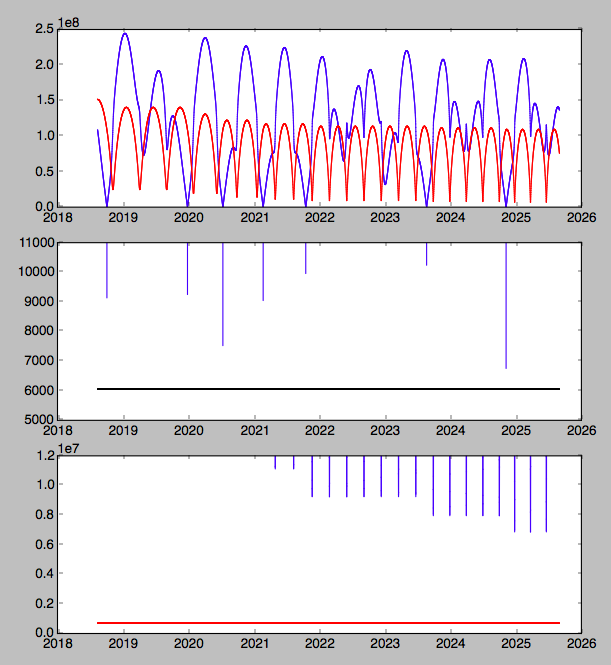 The first plot is not zoomed in distance, it shows the distance from Parker to the Sun and to Venus. The second one is distance to Venus, and the last one is pretty close! The last one is distance to the Sun, and you can see the distance takes a step closer each time it passes Venus, including that last really close one. I'll come back tomorrow to add the calculation if nobody else does, but the delta-v changes here are huge, and drag in the atmosphere does not come within orders of magnitude of being enough to change the distance to the Sun by this much. They will get as close as they can perhaps, for the gravity, but not for the atmosphere. Not the answer you're looking for? Browse other questions tagged venus parker-solar-probe trajectory-design or ask your own question.